Treasury and Finance Minister Berat Albayrak held talks Monday with his counterparts in Washington to increase the trade volume between the countries to $75 billion, up from the current $25 billion. Albayrak also met with U.S. President Donald Trump during his visit to the White House and talked about Turkey's purchase of the Russian S-400 missile defense system. Albayrak said the president displayed a positive outlook on the subject, and he described the talks constructive and positive. 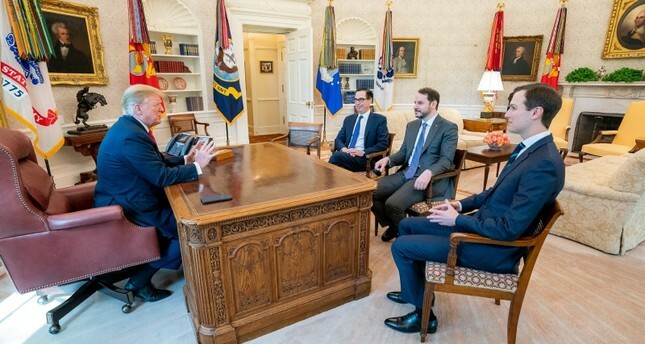 In a separate session, Albayrak and Trade Minister Ruhsar Pekcan held talks with Jared Kushner, senior adviser to President Trump, and Wilbur Ross, U.S. secretary of commerce, along with Turkish and U.S. officials, on expanding the bilateral trade volume. Albayrak said the second phase of the meeting will be held tomorrow in Washington. Earlier Monday, Albayrak addressed a gathering of business leaders in the U.S. capital, saying that financial ties between the countries must "be just as robust as our traditional security partnership." Albayrak noted existing strains in bilateral relations between the NATO allies but said they should not "prevent us from looking to the future with a positive outlook." The U.S. has already suspended deliveries of parts and services related to Turkey's receipt of the multimillion-dollar jets.